One of the main objectives of my long weekend in Boston is to research my family history. Usually when you do that kind of research you see familiar visualisation forms: trees. And in this book on a New England ancestral family, I saw trees. But the problem is history is never as neat and clean as we would prefer it to be. Or at least as I would prefer it to be. And this is the tree I discovered for my ancestor George, the guy labelled N-1. People need to stop naming their kids the same old names. It can make my research a pain in the arse. 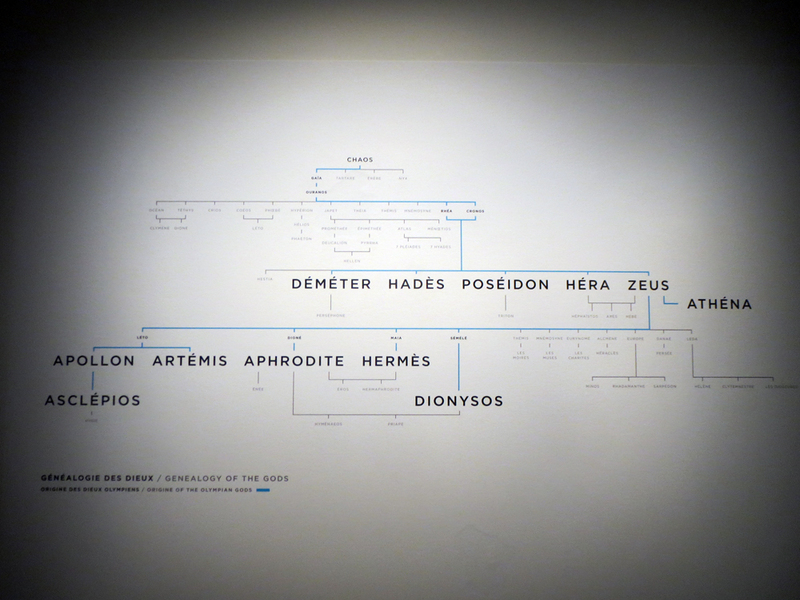 Normally family trees are direct lines of descent. But here the problem is that the current research cannot clearly state who the parents are of George. He can be one of two Georges, one the son of Francis and Tabitha and the other of Timothy and Elizabeth. So instead of a single trunk, we have more of a shrub-like set of parallel branches with lots of leaves. Credit for the piece goes to Henry L. Bunker. Author Brendan BarryPosted on 19 September 18 18 September 18 Categories InfographicTags ancestry, diagram, family history, family tree, infographic, information designLeave a comment on My Family Shrub? Happy Friday, all. I’ve been busy preparing for a trip to Boston next week where I’ll continue to research my family’s history. But family trees and generational relationships between cousins can be confusing. Over at xkcd, however, it turns out the in-law relationships are more confusing. I don’t think I blame him. Apologies for the lack of posting yesterday, but I had some travel difficulties returning from Canada. 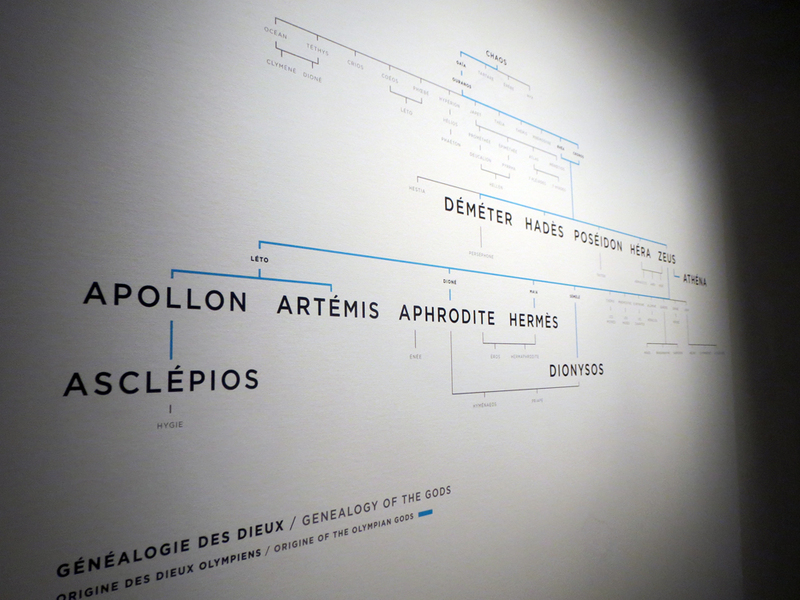 But today, we have a few photos of a family tree from a nice exhibit at the Musée de la Civilisation à Québec, or Museum of Civilisation, on the gods of Mount Olympus. My guided tour (in English) featured only the history of the gods—nothing really on the art or the style of the sculptures. But it was still pretty good. I have three photos of the family tree, which is first presented in an elaborate glass piece that creates depth. Unfortunately this photo doesn’t quite capture the impressiveness. 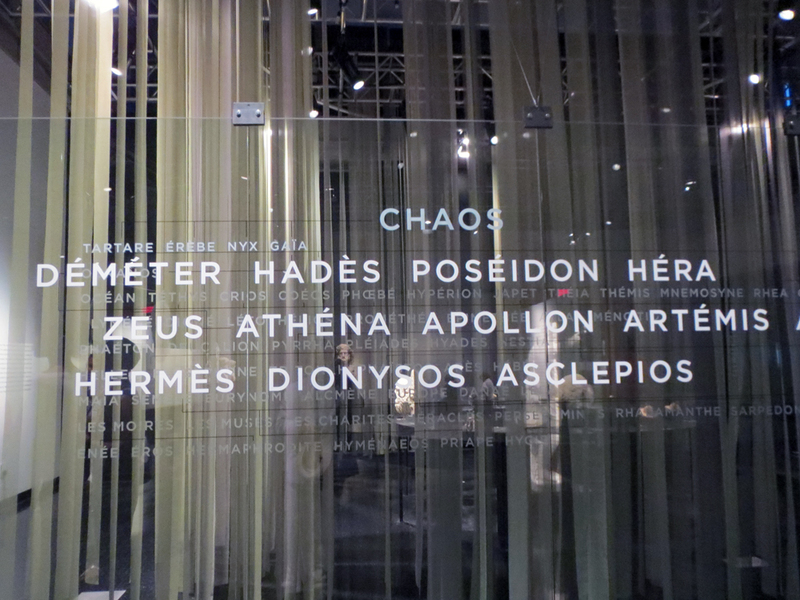 The next two are a smaller wall installation that highlights those gods that apparently lived on Mount Olympus and were thus the focus of the exhibit. Credit for the piece goes to the graphics department at the Musée de la Civilisation à Québec. Recently my hobby of my family’s history has focused on my Rusyn (or Ruthenian) roots. However, this recent work out of Stanford University piques my interest in my English heritage, even though much of it is very far back in time. 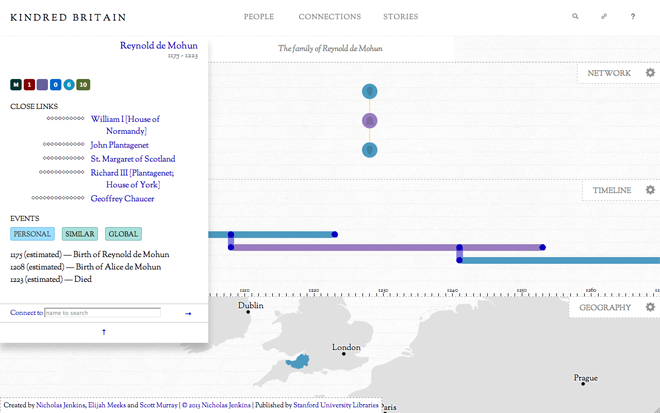 Using my 23 × great-grandfather Reynold de Mohun you can begin to see how it links persons within families, how those lives intersected over time, and the geographical areas where that person lived. In Reynold’s case, it was the 12th–13th centuries in Somerset, England. But as the title kindred implies, this piece is not just about direct family connections, but also the marriages and close cultural links between certainly the elite of British society. 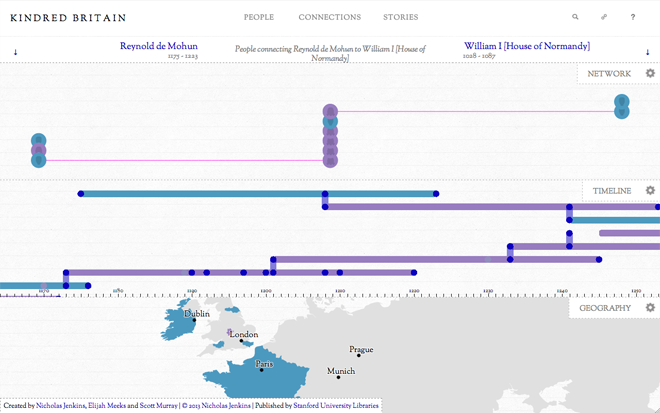 Below is how Reynold is connected to King William I, better known as William the Conqueror. 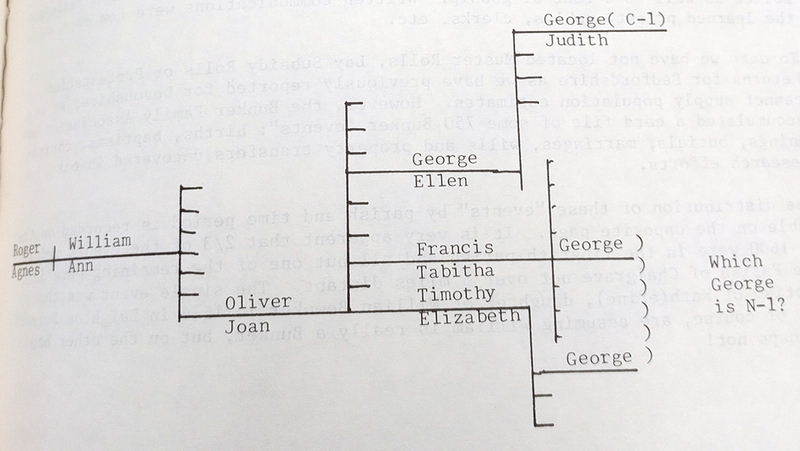 Family history or genealogy is a topic ripe for data visualisation and information design because it is all about connections. But I have found beyond the common family tree diagram little interesting has been created. This work is a solid start in the right direction. Credit for the piece goes to Nicholas Jenkins, Elijah Meeks, and Scott Murray. Kim Jong Il is dead. And nobody really knows what is going to happen in North Korea. 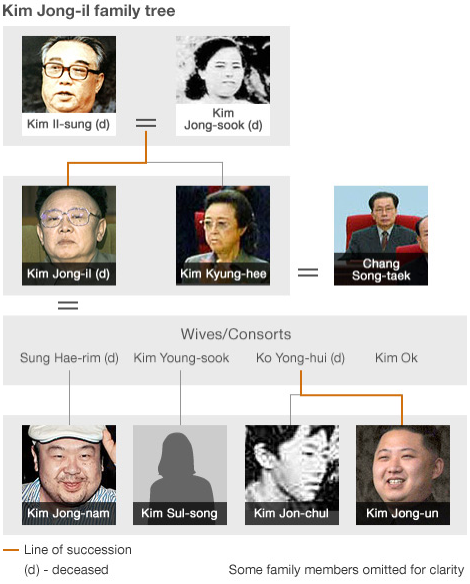 But, what we do have, is the interactive family tree of Kim Jong Il, courtesy of the BBC. Select individuals are clickable and have short biographical sketches. Unfortunately, the tree has been simplified for clarity and it does not contain all members of the family.